Director Priyanandanan’s latest offering Bhaktajanangalude Sradhaykku is a highly genuine film, which is honest and topical. Even as it is handling a sensitive subject, it never really moves out of the emotional track which is perhaps the main focus as well. The highly conventional pattern and the slow pace at times may be among the low points, but even then the sincerity that has gone into its making, is evident all along. Sumangala (Kavya Madhavan) is married to Viswanathan (Irshad), a government employee and a nice guy, until he hits the bottle. The couple is living in a remote village, with their two kids and his mother, where she runs a small time tea shop to make both ends meet for the family. After a while, fed up with her husband’s drinking habits, Sumangala decide to start acting in a strange way. She behaves as if she is the incarnation of the Devi (goddess). Though Viswanathan changed his ways as his wife had desired, things goes out of their hands as people started accepting her as a ‘God woman’. Evidently inspired from certain controversial real life characters, the storyline is powerful enough to make you think about several things happening around us in the society. From the addiction to liquor to the exploitation in the name of religious beliefs, the film subtly put forward several relevant things in a highly effective way. Ranjith’s story is the strength of the film and B Manoj’s screenplay is pretty fine, while the dialogues are excellent. 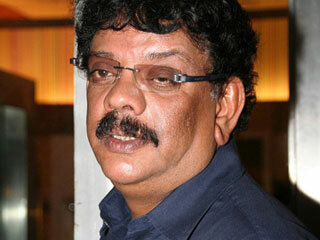 Award winning director Priyanandanan has handled the subject with lot of maturity. Prathap Prabhakaran’s visuals and Natesh Sankar’s music are good. In a performance that is highly challenging, Kavya Madhavan is simply fantastic as a woman who has to take some bold steps at a particular juncture in her life. She has given her heart and soul into the character which makes it extremely believable and highly impressive. It is even more relevant during these times as we almost always find female actors being relegated to ‘pretty babe’ roles only. Irshad, who is mainly seen in offbeat roles, is really good and looks thoroughly convincing. 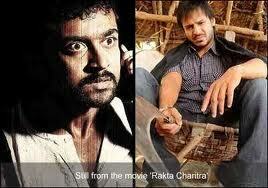 The two lead actors share a fine chemistry which is important to the plot. Kalabhavan Mani’s role as Viswanathan’s uncle is just about okay. Jagadeesh, Salim Kumar, Sreeraman, Vanitha and the rest of the cast have done a nice job. The main highlights of the film are perhaps the storyline and the performances of its cast. For all those who were waiting for meaningful cinema, this one is certainly worth a watch.